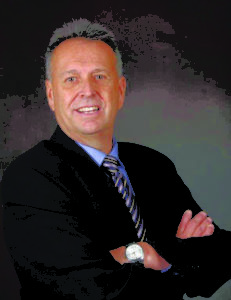 Mark has over 30 years of experience in Aboriginal economic, business and financial development. He has held a variety of positions with the Government of Canada. After graduating from University, he served as the economic development officer in the Native Community Branch for the Government of Ontario. He advanced to become a business development officer and regional consultant around London, Ontario. In 2001, Mark became a program advisor for Aboriginal Business Canada at Industry Canada (now known as Innovation, Science and Economic Development Canada). He remained there until its transfer to Indigenous and Northern Affairs Canada (INAC) in December 2006. While in these positions, Mark gained experience developing and monitoring policies for compliance and administering contributions programs. He co-authored and assisted in the implementation of two enhanced program management control system frameworks which included program delivery tools such as project assessment forms, risk management tools, legal agreement templates, performance measurement approaches, and monitoring strategies. During his 10-year tenure at INAC, he collaborated with NACCA to develop a comprehensive program renovation that led to the transfer of business development program delivery responsibilities to NACCA and the Aboriginal Financial Institutions (AFI) network. As the director of products and services, Mark will lead the delivery of the Access to Capital (ATC) Program and the Aboriginal Developmental Lending Assistance (ADLA) Program to the AFIs. This includes assessing and approving project applications as well as monitoring these programs to ensure compliance. In his free time, Mark enjoys staying at his cottage on Lake Nipissing, hunting, fishing and curling.